Is the Russian Horn Expanding Its Nuclear Arsenal? Is Russia Developing Another 100-Megaton Super-Torpedo? In 1961, Andrei Sakharov, the brilliant physicist considered the father of the Soviet hydrogen bomb, had an idea that made a regular H-bomb look like a firecracker. He proposed a giant submarine-launched torpedo with a 100-megaton nuclear warhead that would have pulverized coastal cities with the titanic force of a tidal wave. Now, Russia is talking about resurrecting this weapon. Why? It was on October 30, 1961, that Sakharov’s Tsar Bomba, a 57-megaton monster, was successfully tested in the largest nuclear detonation in history. But even the genius of Sakharov couldn’t solve a basic problem of physics: how do you transport a 27-ton bomb to the target when the bomb is too big to fit in a bomber or the primitive nuclear missiles of the early Cold War? Sakharov proposed a solution: a torpedo with a 100-megaton warhead. Fired by a submarine at a major port such as New York or Los Angeles, such a warhead would inflict massive damage not just through blast and radiation, but also a giant tidal wave generated by a cataclysmic underwater explosion. Ashamed of the monster he had proposed, Sakharov went to become a dissident imprisoned for daring to advocate arms control and for criticizing Soviet human rights violations. The Soviet Navy dropped the project in favor of smaller torpedoes with tactical atomic warheads (though like the Americans, moral qualms against mass slaughter were soon swallowed in favor of city-incinerating ballistic missiles launched from submarines). Fast forward to June 2018, and Russian media is reporting that Moscow may revive the T-15 . „There is a general tendency of reviewing the ideas that weren’t implemented before. … Sakharov’s ideas about making 24-meter-long nuclear-tipped torpedoes with a 1.5-meter diameter and 50-kilometer range are being reviewed,“ torpedo designer Shamil Aliev told Sputnik News. One question is whether this torpedo is the same, or similar, to Status-6, a nuclear-armed underwater drone announced by President Vladimir Putin earlier this year. Like the T-15, the Status-6 would destroy enemy ports by inducing tsunamis. Yet Status-6 is more like a mini-submarine, complete with stealth features, while the T-15 appears to be just a giant torpedo. Either way, both weapons may be more bark than bite. 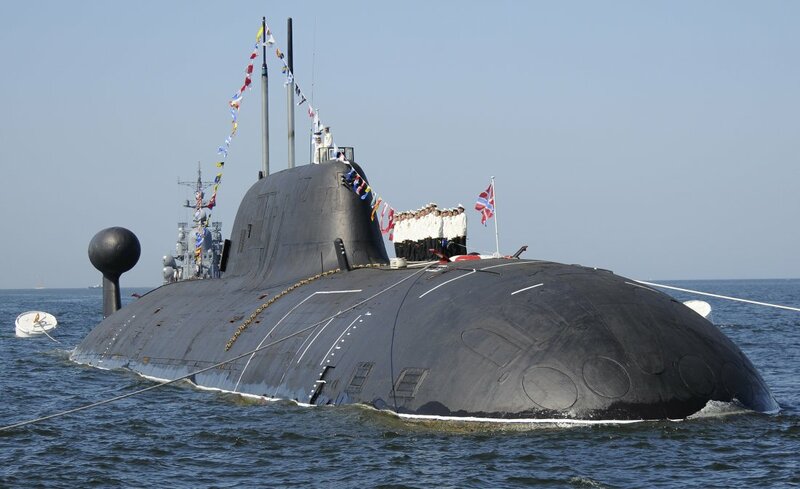 One attraction — and perhaps why Russia is publicizing these projects — is to send a message that while America’s missile defense program might stop ICBMs, it can’t stop thermonuclear torpedoes launched by stealthy submarines. Of course, one might wonder that if America could develop technology that could shoot down hundreds of Russian ICBMs — which is far from the case currently — then perhaps it could also detect and destroy all those Russian submarines. It would also be considerably easier to deploy more ICBMs to overwhelm American missile defenses rather than build and crew an entire submarine to deliver a single giant torpedo. And in the end, all it takes is a push of a button for a Russian ICBM to hit Washington in 30 minutes, which is much more flexible than having to maneuver a submarine to within 50 or 100 miles of the U.S. coast. Nonetheless, the nuclear balance of terror was always about bluff and perception. The prospect of a nuclear super-torpedo is just another weapon in the Kremlin’s psychological arsenal. Michael Peck is a contributing writer for the National Interest. He can be found on Twitter and Facebook.